We're now officially in summer; with warmer weather means adapting our bedroom to a warmer temperature. 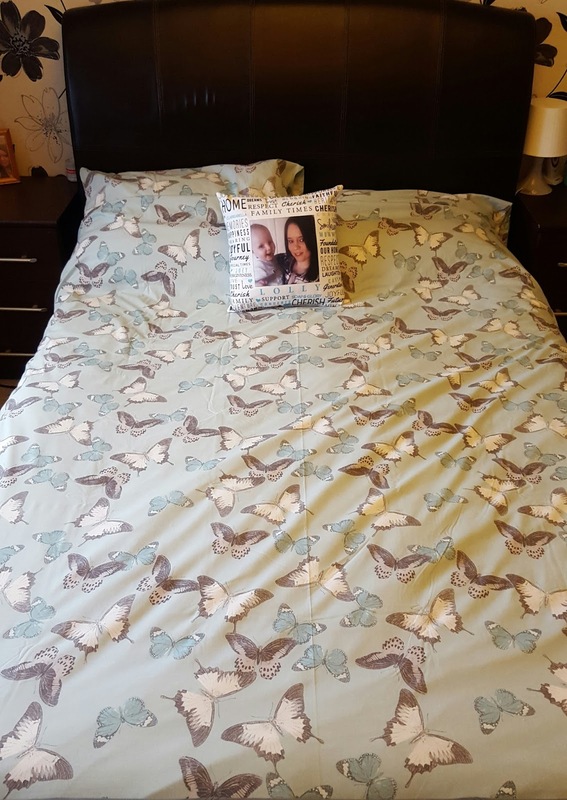 By changing something as simple as your duvet cover you can also make a massive difference to the overall look of your room. 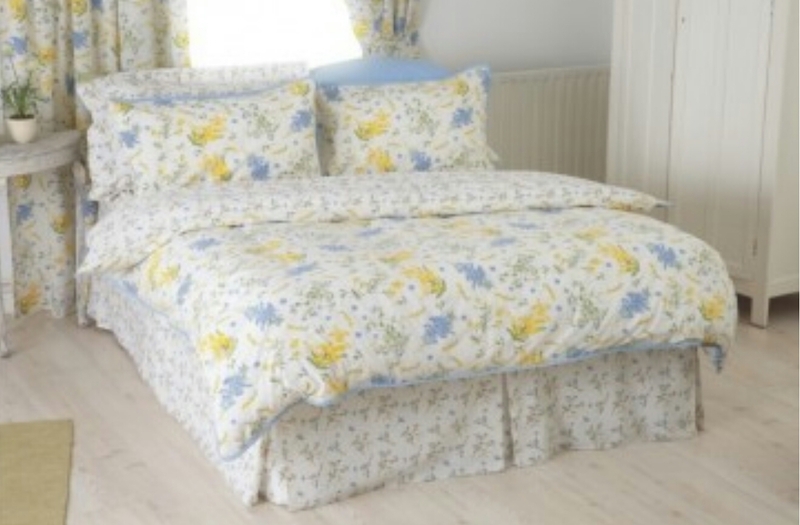 Yellow isn't a colour I'd necessarily pick for myself but when I saw this Viola bedding set from Yorkshire Linen, I fell in love. I really like the use of fresh and China blue in this floral design. It reminds me of Wedgwood pottery for some reason. 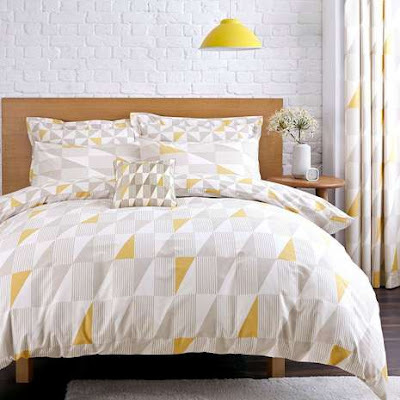 If you're still wanting to add a bit of yellow but wanting something a bit edgy then this duvet set from Dunelm Mill is perfect. The geometric triangle print is Scandinavian inspired with both yellow and neutral tones. Now that's it's officially summer (even though the weather says different) you should now be thinking about making those small changes like buying a summer tog duvet, removing any electric blankets and encorporating summer colours into the bedroom. We've done all of those things, our current duvet cover was purchased just after Christmas in the sale from George at Asda. The pillow is a lovely personalised one from Typography of Love at Toxic Fox. How do you like to change up your bedding for the summer months?